From muted nudes to cozy cardigans, spring forward with the latest! After a long winter, it's time to refresh your wardrobe with some of spring's freshest fashion trends. 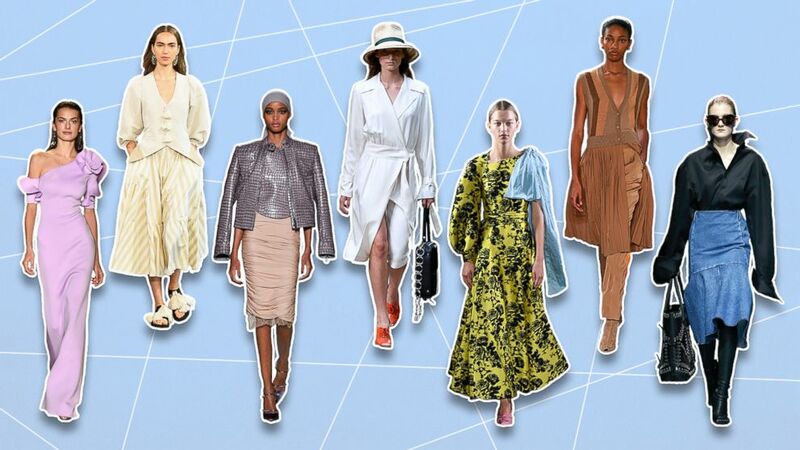 Ahead, we have curated a trend report of the hottest designer moments from the Spring/Summer 2019 designer main stages. Scroll through, take note, and shop your favorites. (Victor Virgile/Gamma-Rapho via Getty Images) A model walks the runway at the Burberry Ready to Wear Spring/Summer 2019 fashion show during London Fashion Week September 2018, Sept. 17, 2018, in London. 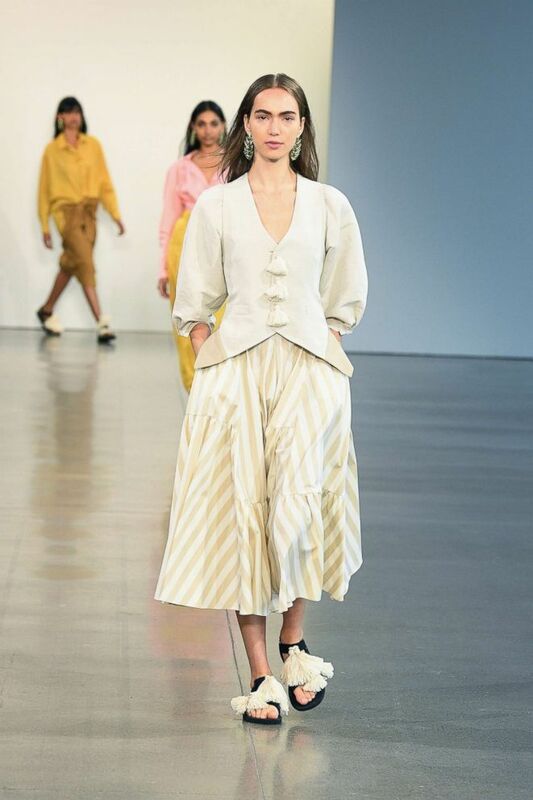 (Slaven Vlasic/Getty Images for NYFW: The Shows) A model walks the runway for Tome during New York Fashion Week: The Shows at Gallery II at Spring Studios, ept. 11, 2018 in New York. (Frazer Harrison/Getty Images) A model walks the runway at Badgley Mischka during New York Fashion Week: The Shows at Gallery I at Spring Studios, Sept. 8, 2018, in New York. 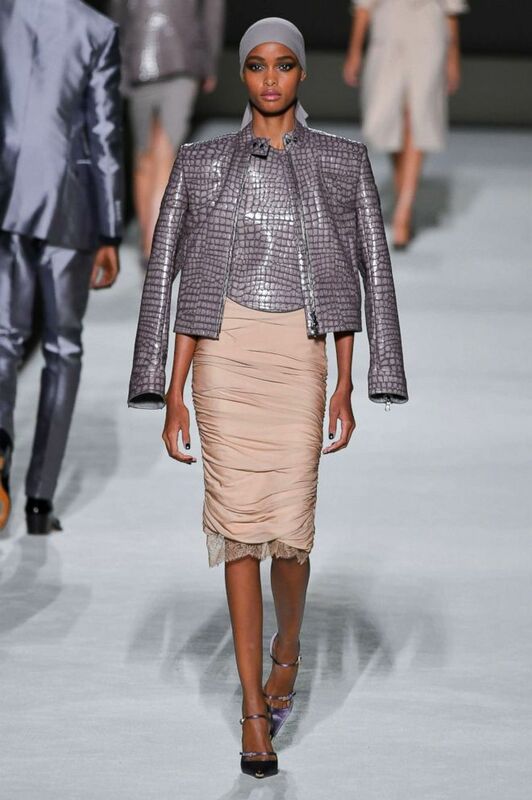 (Victor Virgile/Gamma-Rapho via Getty Images) A model walks the runway at the Tom Ford fashion show during New York Fashion Week Spring/Summer 2019, Sept. 5, 2018, in New York. Ruching can be flattering on many different body types. Designers such as Tom Ford, Dolce & Gabanna, and Diane Von Furstenberg incorporated the design pattern in their collections. (Estrop/Getty Images) A model walks the runway during the Balenciaga show as part of the Paris Fashion Week Womenswear Spring/Summer 2019, Sept. 29, 2018, in Paris. 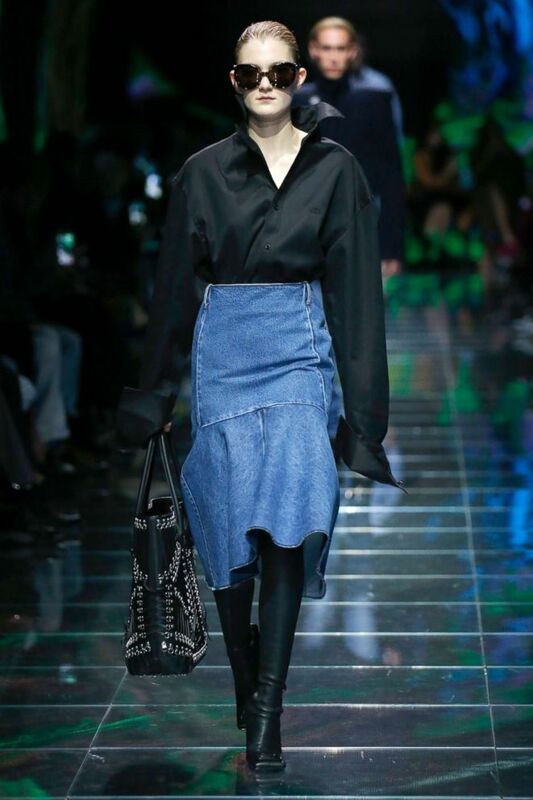 As you can see above Balenciaga found a cool way to do denim ... that didn't require any jeans. Scroll ahead for some fun-skirted options. 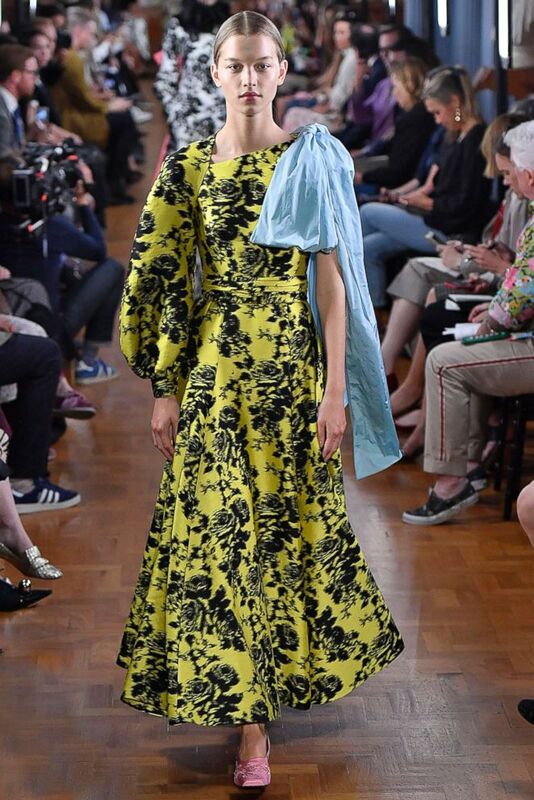 (Victor Virgile/Gamma-Rapho via Getty Images) A model walks the runway at the ERDEM Ready to Wear Spring/Summer 2019 fashion show during London Fashion Week September 2018, Sept. 17, 2018, in London. Dresses with bows feel chic for spring and designers such as Valentino and Erdem were very into it -- so are we! (Victor Virgile/Gamma-Rapho via Getty Images) A model walks the runway at the Tory Burch Spring/Summer 2019 fashion show during New York Fashion Week, Sept. 7, 2018, in New York.